If a thread already exists, and an image of the QSL has been posted already, and your QSL image is exactly the same, please consider NOT including a duplicate image of the QSL in your reply as well. That will help save disk space here at the HFU. No longer an issue with attachments disabled. Upload your image to imgur or elsewhere, link to it in your message via IMG tags. You can post as many QSL images as you like! Note you need to include the actual image address, ending in .jpg or .png for this to work. If it does not end with the file type extension, it will not work. Please also consider posting your images to http://imgur.com and then linking to the image URL, rather than uploading here. It's free, and works very well. And you won't have a limitation as to the size of your image. 5. 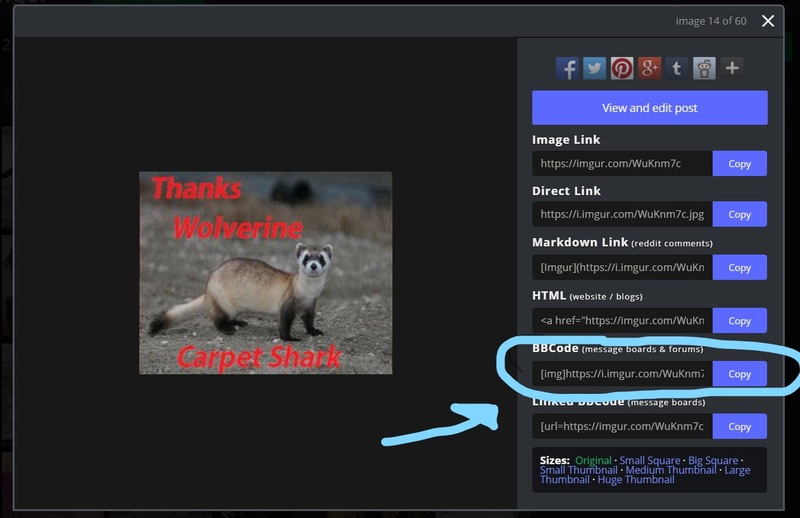 Paste the image URL into the message you are posting on the HFU, in between IMG tags. Thanks to Skipmuck for this tip. If you go to the image on imgur after you've uploaded it, click on the "BBCode" COPY button to copy ALL the necessary code for the image to your clipboard. Then paste that into your comment.